If you follow interest.co.nz you may have seen the news that construction industry revenue is on the rise, and consents are growing too. At Cheap Titles I have noticed an increase in resource consent enquiries, so perhaps everyone is coming out of winter hibernation early and getting started on their building projects! If you’d like to discuss your requirements for a resource consent, or need some help with council red tape, please get in touch for a chat. What are Existing Use Rights and Certificates of Compliance? ‘Exiting use rights’ is the resource management term given for activities or for physical building works (such as part of a house) that were (legally i.e. they were permitted activities and did not require resource consent) established under previous planning rules. Existing use rights are different from having an activity that resource consent or planning permission was sought. Existing use rights can be lost if the character, intensity and scale of these rights are modified or if the activity was discontinued for more than 12 months. For example, a childcare centre accommodating 25 children may have been legally established many years ago, but if this childcare centre were to increase in size so say 100 children, this would not have the same character, intensity or scale as when it was originally established. What information do I need to be able to order a Certificate of Title from Cheap Titles? When providing a street address to order a Certificate of Title it is important to provide sufficient information to identify the particular property from any other property in New Zealand. For example, there are many Queen Streets in New Zealand so if you are after Queen Street in Auckland – it will safe time, and will ensure that you get the correct Certificate of Title by including suburb and city information in your request ie 1 Queen Street, CBD, Auckland. Since the leaky homes problem came to national prominence, the Building Act has been thrown into the public limelight. With such intense scrutiny on the regulatory framework around building in NZ (or lack thereof), successive governments have been trying to tighten up regulation and deliver better quality homes for Kiwis. The Building Act 2004 is the current law governing most building work. It paved the way for some important changes which are about to take effect and hopefully change the building industry for the better. For anyone designing or building in 2011, the most significant of these changes is the full introduction of the Licensed Building Practitioner (LBP) Scheme. The essential aim of the LBP scheme is to encourage better building and design so that the consumer is more protected by our legislation than was previously the case. A recent Certificate of Title (usually a title that has been issued within 3 months) is required to accompany every application for resource and building consent. It is useful to know what sort of information can be contained within a Certificate of Title because some councils require that documents relating to this additional information be provided when lodging a resource or building consent. Generally if this additional information is not provided, the council may consider that your application is ‘incomplete’ and will return it to you. This delays the processing of your consent until you can provide the missing information and return the whole application back to council. This is common on older Certificates of Title (such as on land subdivided in the late 1800’s to early 1900’s) which may not have surveyed properly. 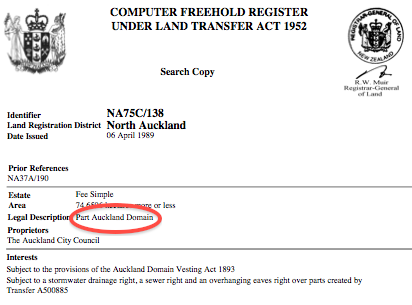 If your title has the words ‘Limited to Parcels’ on it (if applicable this wording will be located below the main heading at the top of the page) and your application involves building works in close proximity to a property boundary you will most likely also need to submit with your resource consent application, a letter or certificate from a qualified surveyor that confirms that the proposed building works will not create any non-compliances with the District Plan (i.e. 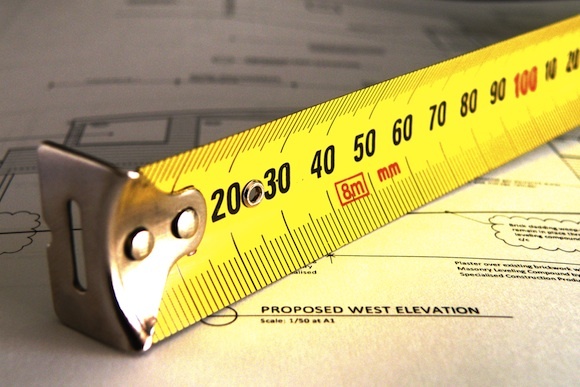 the letter or certificate will state that if the property were to be surveyed accurately the proposed works would not create any non-compliances with the District Plan rules by being located too close to a boundary). 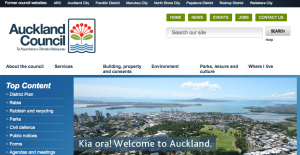 The new Auckland Council is live today! Why do I need to keep obtaining Certificates of Title? Converting floor space to a different use.